JLG is set to launch a range of fully electric lithium-powered construction booms at Bauma 2019 (April 8th-14th). There will be three models available – 340AJ, 450AJ and 520AJ – these boom lifts offer working heights from 12m to 18m and an unrestricted platform capacity of 250kg for the 450AJ and 520AJ, and 230kg for the 340AJ. The range is equipped with Lithium batteries and 2-wheel drive as standard. “The market is now ready for full electric construction boom lifts. For a relatively small price difference, equipment owners benefit from improved usability as this machine can work outside, but also indoors if needed”, said Jan-Willem van Wier, senior product marketing manager for JLG access equipment in EMEA. 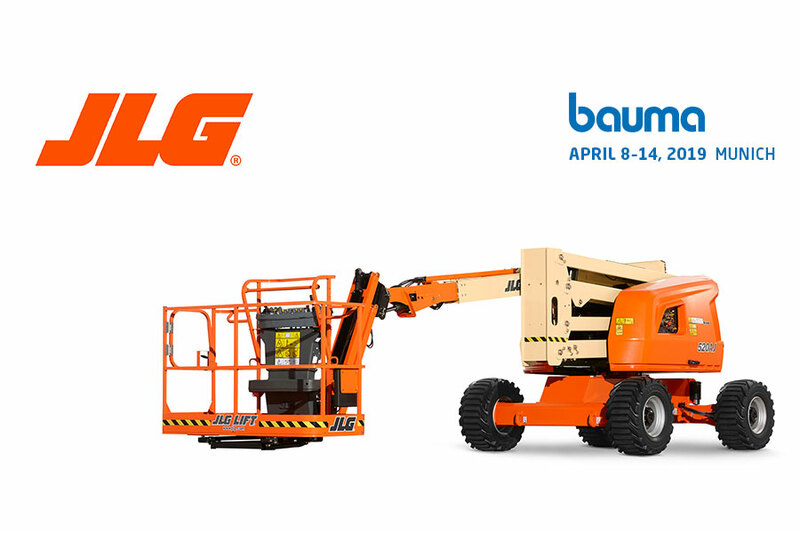 The electric construction boom lifts will be on display at JLG’s booth at Bauma in Munich, Germany from April 8th to 14th, 2019 at stand number FS.904/5. For more information, please visit the JLG website. ← How not to get down from a cherry picker!